Oregon has been a leader in targeting the growth in overall health care costs. 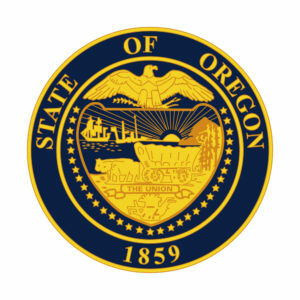 In 2012, the state adopted a unique approach to growth limits for the Oregon Health Plan, first for its Medicaid beneficiaries and then for public employees. State officials had discussed extending the model to other populations and types of coverage, but a plan to do so had not emerged…until now. In the fall of 2018, Governor Kate Brown announced plans to further improve health and health care in Oregon, including control of spending growth. Shortly after, a task force composed of public officials including state legislators and key health care stakeholders recommended that the state advance a comprehensive plan to limit health care cost growth. Legislation has now been introduced that calls for the development of an implementation plan for a “predictable and sustainable annual rate of growth” for statewide health care spending. Methodology to set a spending benchmark: Assessing existing data sources and additional data needs; determining economic and health care cost data and indicators to be used; agreeing on how total costs of care would be reported. Strategies to target spending growth: Analyzing and publishing price and cost variation data; determining how this applies to public programs, commercial insurance rates, and health benefit exchange plans. The initial benchmark will be set later in 2019, followed by a report to the legislature in 2020. Enforceable limits on cost growth will take effect in 2022. One of the Fund’s priority areas is Total Costs of Care. We continue to monitor policy efforts that address how states are working to contain costs.